After almost a decade serving as one of GMA News and Public Affairs' senior correspondents, Sherrie Ann Torres has confirmed Sunday that she would be leaving the network. Anchoring her last GMA NewsTV Live broadcast Sunday, Torres posted a series of photos on Facebook with Kapuso staffers, with a note saying: "And it's a wrap! I will miss all of you, my GMANewsTV Live family ☺ friends in and outside of the GMA Newsroom. maraming salamat sa lahat at sa bonggang boquet of flowers kanina. Nag-feeling Pillar tuloy ako for several seconds kanina hahaha! Until we meet again. God bless you and I wish you all the best. 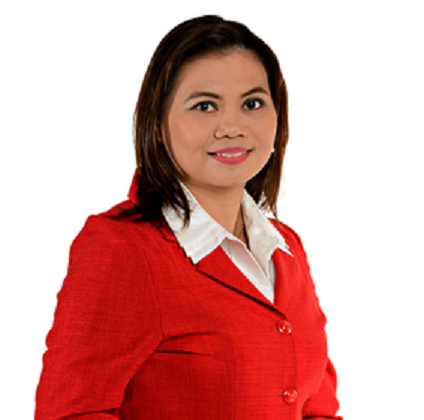 -- Sherrie Ann Torres, nakatutok, 24 Oras, ang inyong naging Saksi para sa GMA News ❤." Torres has yet to announce where she is heading next, but a source close to her notes that she won't be joining a rival network anytime soon, and instead will be focusing her attention as a faculty member in the department of Mass Communication at Far Eastern University. Torres came to GMA-7 after her reportorial stint at the then-ABC5. She has covered many major stories during her time at the Kapuso Network including the midterm elections in 2013, the aftermath of super typhoon Yolanda, and the Papal visit last year, among others. A committed journalist, Torres has been recognized by the Federation of Associations of Private Schools and Administrators (FAPSA) for Excellence in TV News Reporting.